This month the largest sale was Lots 100A, 102A, 104A, 106A, 108A, 110A, 112A, 114A, 116A, & 118A, Block 12, which is a Telluride Non-Residential property that sold for $12.75 million. This is a marquee vacant lot located next to the post office that includes the adjacent vacated alley. There was also a large sale of $8.4 million in the Idarado Subdivision (Lot P17). 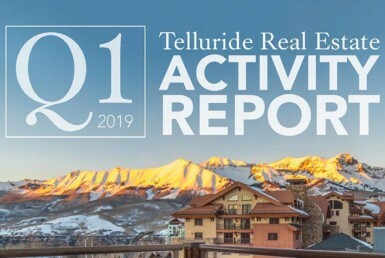 There were two Telluride Single Family Home sales totaling $5.775 million, and no Mountain Village Single Family Home sales. We have seen an increase in Dollar Volume throughout each month of the 1st Quarter which is a great trend. We are also well above of the prior 5 year average ($105.92 million) for the 1st Quarter Dollar Volume. All data compiled and published by Telluride Consulting ©Copyright 2019. Information contained herein has been obtained from sources believed reliable, but is not necessarily complete and cannot be guaranteed, errors and omissions excepted.